A great solution for smelly shoes and sports equipment. SmellWell is designed as a small colorful fabric bag you place in your shoes or sports equipment overnight. The content consists of natural salts and absorbents that effectively absorb moisture and smelly particles without bactericidal substances. The result is dry and fragrant shoes. If you use the bags in well-used shoes, it may take a couple of days before the full effect is achieved. We’ve all experienced the same problem – smelly soccer boots, sneakers work shoes, hockey gloves or training bags. The smell after a workout or sporting activity can be an issue and in some cases make life difficult for the family, girl or boyfriend. 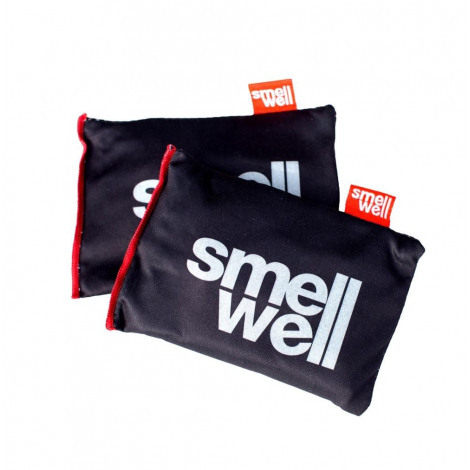 SmellWell removes odor and absorbs moisture. A great way to prevent Athelete’s Foot! A stylish accessory to keep all your shoes and equipment fresh. 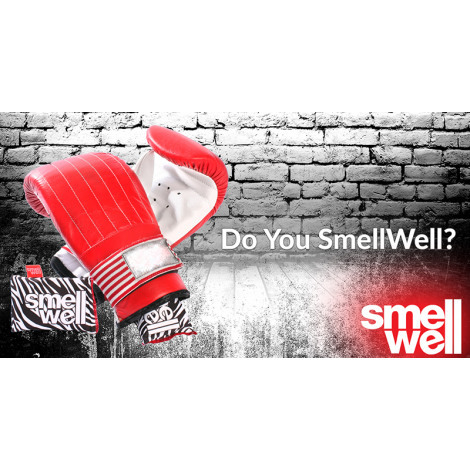 SmellWell contains no anti-bacterial agents. The contents consist of natural salts and absorbants that work effectively together to remove odor and moisture. 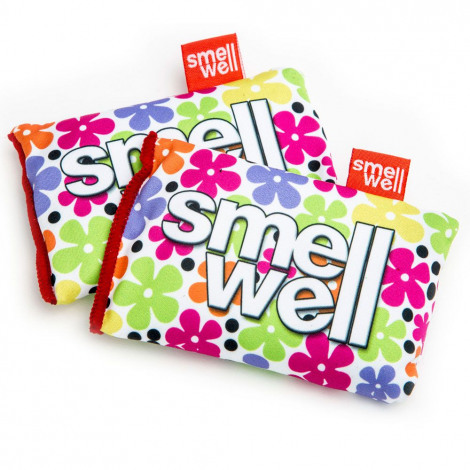 Our products have undergone an extensive REACH test that show SmellWell is free from harmful chemicals.